When it comes to system security, prevention is always better than cure. If you have a decent antivirus, chances are that it will easily manage to stop a malware in its tracks. However, it is much harder to repair a system that has already been infected. In fact, we have already seen worms like Conficker go out of its way to prevent detection and disinfection. If you are looking to repair an infected system, you should first try your luck with an efficient antivirus utility. VirusEffectRemover can also come in handy to remove the side-effects of a malware infection. Come back here only after everything else has failed. There are some threats that impersonate legitimate programs, modify browsers or the boot screen graphics, and even redirect traffic. Our standard scanners necessarily have a delicate balance between effective malware detection and removal and erroneously removing legitimate files. Sometimes, these “scareware” programs can require special tactics to remove them. 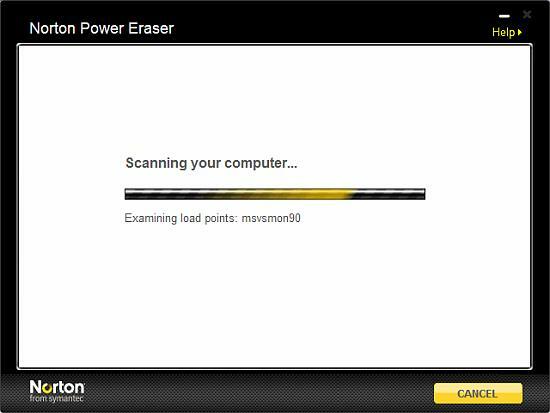 With the Norton Power Eraser tool, these threats (and others) are specifically targeted, and thus are effectively detected and removed. 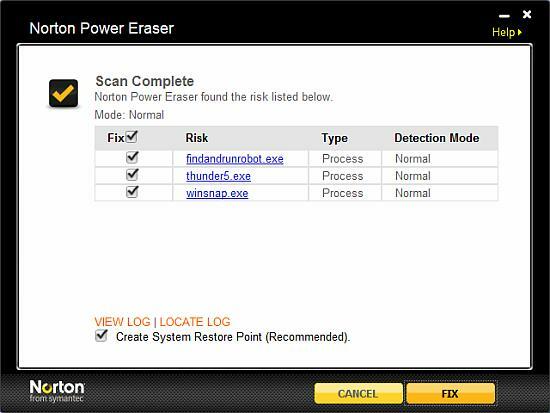 Power Eraser is a free tool, which is currently in the public beta testing phase. What sets it apart from other malware removers is its aggressiveness. I used Power Eraser on a clean system and it identified three potential risks – all of which are obviously false positives. 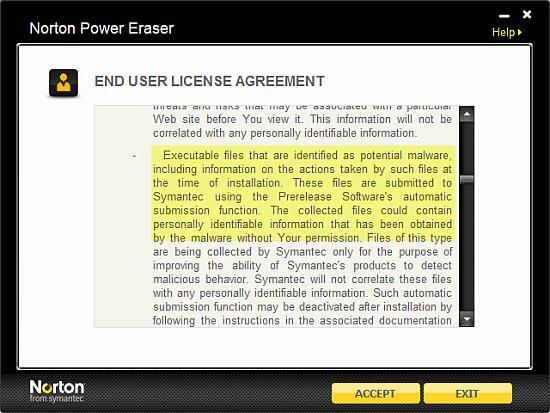 The good thing about Power Eraser is that it does not require installation. The downside is its rather aggressive EULA (end user license agreement). Make sure that you are comfortable with clauses such as the one highlighted below before using it. Note: This tool is intended to be a measure of last resort. Use it only after everything else has failed. It will almost inevitably detect a few innocuous programs and files due to its aggressive nature.